Knee pain is one of the most common types of joint pain and can affect people of all ages. To get relief from your knee pain and get your knee back to full function, visit River Oaks Chiropractic Clinic in Fort Worth, Texas. The team uses a variety of conservative treatments to relieve knee pain and improve strength in your knee so you can get back to your favorite activities as quickly as possible. To schedule a visit, call today. Your knees can also hurt while going about your day-to-day activities. The team can help you determine the cause of your knee pain and identify movements or activities that make it worse in order to provide treatment and modifications to prevent the pain from returning. 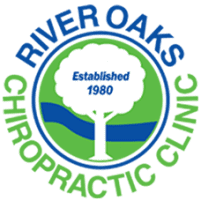 The River Oaks Chiropractic Clinic team manages all types of mild and moderate knee injuries and provides referrals for severe injuries in cases that require surgery or other invasive treatments to repair the damage. Based on your consultation and exam with the team, they determine if X-rays or an MRI are necessary to confirm your diagnosis. As your pain decreases, the team incorporates specific rehabilitation exercises and stretches to restore the function and strength of your knee. Get your knee pain examined and treated at River Oaks Chiropractic Clinic by calling or requesting an appointment online now.